Training off Valencia in perfect conditions currently are the 2008 Audi MedCup champions Quantum Racing (USA) pairing up with one of this year's hot debutant teams Luna Rossa (ITA) who are due to race at the first regatta of the season, the Portugal Trophy in Cascais (May 11-16). 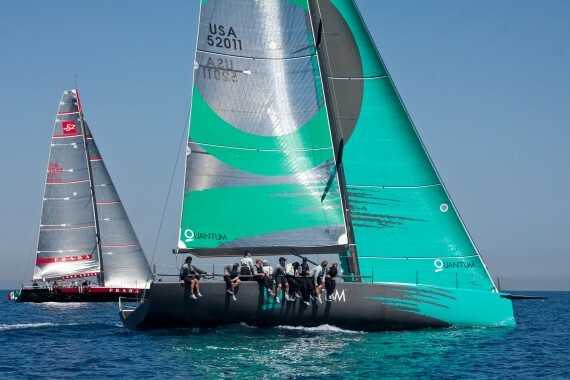 The Botin Carkeek designed Quantum Racing has had additional modifications done through the off-season months as well as the standard updates which all the TP52 fleet have completed in line with the rule changes for this season. Luna Rossa was most recently known as Pisco Sour and is a Judel Vrolijk design built in Italy by Carbolab. The Luna Rossa afterguard will include Torben Grael (BRA) as tactician, Robert Scheidt (BRA) as helmsman and recent America's Cup winner Matteo Plazzi (ITA) as navigator.